Are you looking for a 3D printer? Then 3D Ninja® is the webshop you've been looking for. 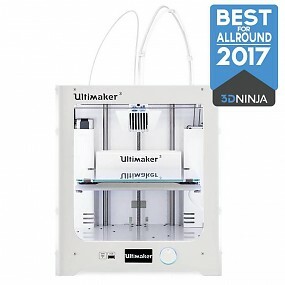 3D Ninja® is the biggest retailer in the Netherlands and is more than just a 3D printer webshop. Read more about our products, services and many possibilities. Buying a 3D printer? Make the right choice! When you're in the market for a 3D printer there are a lot of questions you could be asking yourselves. 3D printing was something that wasn't available for only the last couple of years and the assortment of affordable and reliable 3D printers was quite limited. Over the last couple of years this has changed dramatically. 3D printing has grown to produce full fledged end parts and the quality of the machines themselves has increased aswell. Where a typical 3D printer would've costed you more than 15.000 euro's not more than 4 years ago, now you can get a professional and industrial quality 3D printer for no less than 2.000 euro's. 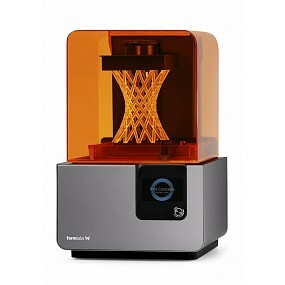 A desktop 3D printer has turned into quite an interesting piece of equipment, not just for business and institutions but also for the consumer. When you're looking for a 3D printer that is right for you there are a couple of things to keep in mind. First and foremost is having a clear view of what you want your machine to do. What will the 3D printer be producing? How big of a build surface are you looking for? Do you want to ability to use multiple materials or colors while printing? Looking at your budget is also very important, how much can you spend on your 3D printer and how much can the material cost? All these questions lead to even more questions and that is why we recommend you buying a 3D printer at an expert. This way you can make sure there are no disappointments and making sure you bought a 3D printer that is right for you! 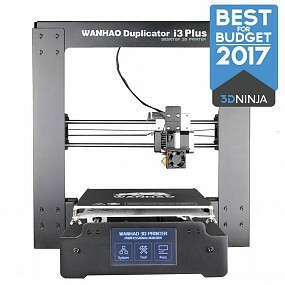 Why buy a 3D printer at 3D Ninja®? 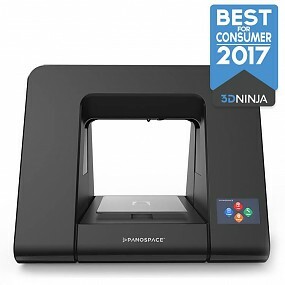 At 3D Ninja® we know what is currently avaiable in the market, as the Netherlands' biggest selling party and a team of 3D printing experts we can give customers the security they need when buying a 3D printer. Every brand and model we sell has been extensively tested by our own team of 3D printing experts so we can ensure the quality of every 3D printer we sell. 3D Ninja® also has it's own team of qualified mechanics in case there are any mechanical issues. This way we can provide fast and expert repairs so you can have your 3D printer up and running as fast as possible. Waiting weeks and weeks for factory warranty is a thing of the past! If you're looking for your first 3D printer or have questions regarding a specific printer, please give us a call! We can give you detailed information about the different types of 3D printers and their possibilities, free of charge. You can get in touch by phone from 09.00 till 18.00 at +44 20 36958935, talk directly to one of our 3D printing experts via the live chat or send us an email via info@3dninja.nl.